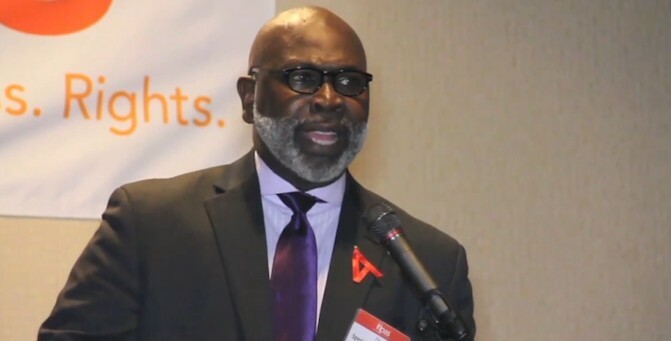 Notorious abortionist Willie Parker is well-known in pro-life circles. He’s an abortionist who practices in Alabama, as well as at the only abortion facility left in the state of Mississippi. Parker has frequently spoken to pro-abortion media outlets about how he is motivated to kill preborn babies due to his “Christianity,” often with little-to-no questioning of the validity of his idea that performing abortions could be considered a Christian activity. The latest example is in the New York Times Magazine, where Parker explains what his bedside manner is like, promotes his new book, and denies the humanity of preborn children. Parker’s book is called — no joke — Life’s Work. Interviewer Ana Marie Cox says that in his book, Parker makes moral and spiritual arguments for abortion, and explains why he now performs abortions due to his religious beliefs. This, of course, is patently false; preborn babies are not “human entities”; they are human beings, actual people, with intrinsic human value and dignity. And we know this, not due to some random belief system, but because of science, which tells us that preborn babies are human beings. At the moment of conception, a preborn baby already has his own DNA, separate and unique from his mother. Just 21 short days after conception, his heart is beating; just a few weeks after that, brain waves can be measured. Each baby has his or her own unique fingerprints by 10 weeks of pregnancy, and by the end of the first trimester, all of the baby’s major organs have been formed. Denying the humanity of the preborn means denying science. Parker continues, explaining to Cox how he will talk during his abortions to put his patients at ease — something he calls “verbicaine.” One of his favorite topics? University of Alabama football. He also denies the pro-life claim that there is a black genocide happening through abortion, which Parker calls “the biggest insult.” He says that this is due to his heritage as a descendant of slaves. It’s interesting that Parker talks about controlling someone else’s body being unacceptable, because that is exactly what is happening through abortion. A preborn baby’s body is being ripped apart, at the hands of an abortionist who denies his or her humanity, and a mother who allows it to happen. It’s also interesting that he denies the significant imbalance in abortion rates among minorities. In places like New York City, reports have found that more black babies are aborted than are born. This disturbing interview isn’t the first time Parker has tried to sell his twisted version of Christianity. In a 2016 interview with Vice magazine, Parker compared himself and his “trials” to Job’s suffering. At Esquire, his work as an abortionist is referred to as a “ministry,” and Parker says that he is not disturbed by seeing the mutilated bodies of the babies he has killed. He also has compared himself to Jesus — saying that his indignation at pro-life opposition to abortion is the same as Jesus’ indignation when he threw moneychangers out of the temple. He repeatedly says that he performs abortions because he’s a Christian. It’s clear that Parker has had to do some serious mental gymnastics in order to rationalize the horrors of abortion. Comparing himself not only to biblical figures like Job, but also to Jesus himself just proves how utterly deluded he is. The sad part is that the media is happy to be complicit in his delusion, and to forward it to the masses without a word to speak against him.